A biome is a “major ecological community, such as a tropical rainforest, grassland or desert,” according to the Merriam-Webster online dictionary. And a desert is an arid area anywhere in the world, from the American Southwest’s Sonora Desert to Africa's Sahara Desert. Deserts can be difficult places for plants and animals to survive, so it is not surprising that some species have become endangered. In the middle of Africa is the Sahara Desert, which encompasses over five million square miles and includes only 500 plant species. 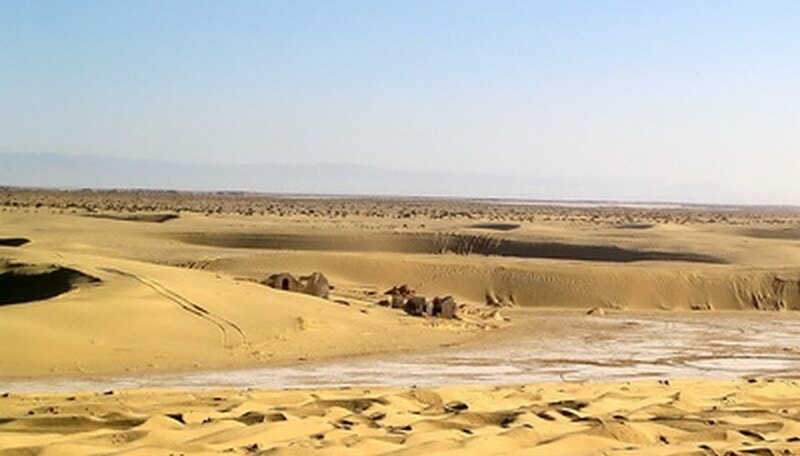 It is the hottest desert on earth, with salty soil and hardly any rainfall. Endangered plants in the Sahara Desert include the leopard orchid and the umbrella thorn. In South Africa, the king protea is classified as endangered. The Sonoran Desert takes up over 100,000 square miles of the American Southwest in California, Arizona and Mexico. Plants that are on the federal endangered species register include the Cochise, Siler and Brady pincushion cactus, Arizona agave, Tumamoc globeberry, Kearney’s blue start, Arizona cliffrose, hedgehog cactus and San Francisco Peaks groundsel. The Algodones Dunes take up 184,000 acres in hot, dry Imperial County. It is the largest sand dune in Southern California, spreading for over 40 miles. The plants that are classified as endangered in the Algodones Dunes include the Dune primrose, Algodones Dunes sunflower, Peirson’s milkvetch, giant Spanish needle and Wiggins’ croton. The Australian Outback is any dry desert area of Australia: most of this large island continent is considered part of the Outback. In total, the Outback covers several thousand kilometers. In all of Australia, around 60 plant species are endangered, including the Wee Jasper grevillea, Tumat grevillea, Wollemi pine tree, Spalding blowngrass, Davies’ waxflower, bindoon starbush ad basalt greenhood.